What helped me greatly was having one main character, both level capped and profession capped. I also had several bank alts laying about doing pretty much nothing. 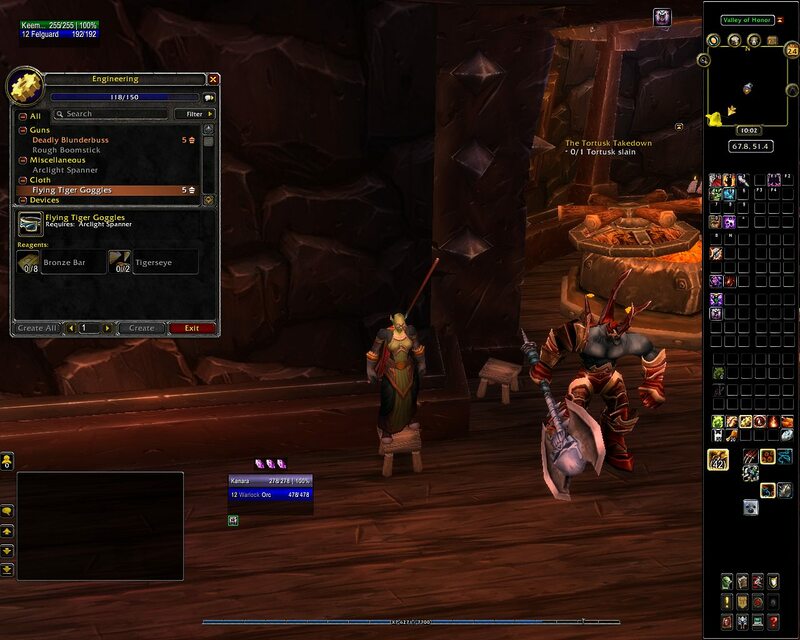 The project began with reviewing the alts to see who was worthy of leveling, in so far as my own playstyles. At this point, some classes were omitted and new alts became replacements. Set up a team that you’re fairly certain you will enjoy leveling each time you log in! (Remember, it’s a game. You’re suppossed to be having fun at this.) In my case, that meant falling back upon the solid ground of ranged dps’ers. I even went so far as to assign a few different specs from my norm, just to keep it all interesting. Next: The chore of assigning professions. Some races have racial advantages with certain professions. If you happen to match them up as so, all the better. Although, you can just pick and choose with wild abandon, and still realize your ultimate goal. 😀 Here’s the line-up I settled upon. Clearly, I went the way of wild abandon. You will notice that some of the gathering professions repeat themselves. Due to the character level differences, this created a sharing aspect of raw materials between some of the professions. LOL, this also created something of a minor headache with some of the profession skill levels, but more on that later. Recap: So far we have, (1.) Setting up a team of alts you will have fun leveling. And (2.) Assigning professions to each. In part two, we’ll start going over some of the quirks and practices of each team member. 14 Jun 2012 Comments Off on OMG! Three days without game! Three days without blogs and blogging! What’s a Tauren to do? Actually folks, with summer kicking in my game and entire computer time scheduals have changed. It will even alternate each month, from now until mid-August. So anyways, if I seem to be un-attentive for a bit, I’m really off doing some rl stuffs and will return shortly. Thanks everyone for coming by and visiting! I’m heading to Azeroth now, YAY!